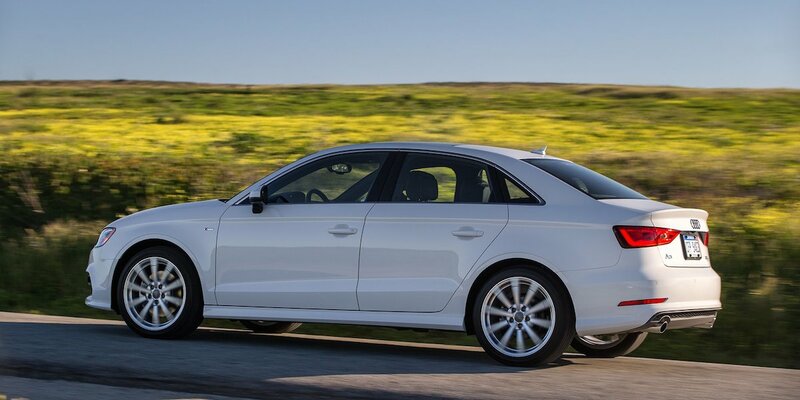 The A3 has impressive build quality, an athletic driving demeanor, laudable fuel economy numbers, and a genuine luxury-car feel at prices that undercut its larger A4 sibling. Tidy dimensions mean limited space for cargo and rear-seat passengers, the automated manual transmission feels quirky to some testers, and the Audi/VW diesel-emissions cheating scandal has sullied the Audi brand’s reputation. Audi sells a high-performance S3 version of the A3 sedan—it comes standard with a 292-horsepower turbo 2.0-liter, all-wheel drive, sport-tuned suspension, and special interior and exterior trim. or a 220-hp 2.0-liter. A 150-hp TDI turbodiesel 2.0-liter four was previously available in sedans, but it has been discontinued (at least temporarily) in the wake of Volkswagen’s diesel-emissions cheating scandal. It’s doubtful that the diesel engine will be offered again within the 2016 model year. Regardless of engine, the lone transmission is a 6-speed automated manual that operates like an automatic; a traditional manual gearbox is not offered. Available features include adaptive cruise control, lane-keep assist, forward-collision mitigation system, and 4G LTE Internet connectivity. Also available is a version of the MMI infotainment system that includes a touchpad that enables the user to “write” letters when inputting info. A gas-electric hybrid “e-tron” hatchback version of the A3 is slated to debut later in the 2016 model year. 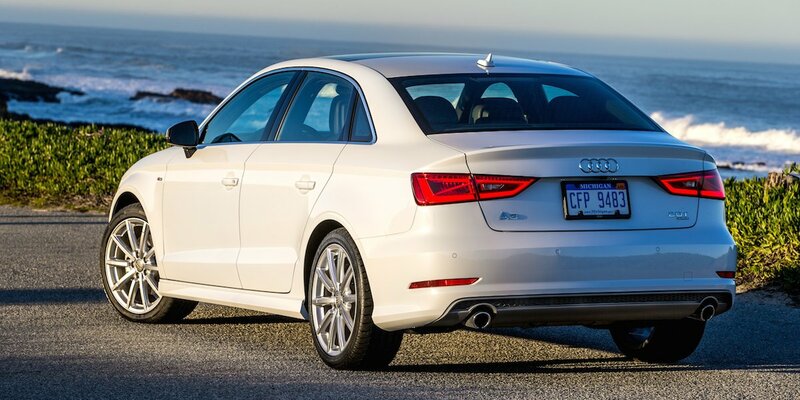 The A3 sedan joined Audi’s lineup as a 2015 model, and the convertible was added mid-year. Changes for 2016 are limited to a shuffling of standard and optional features: A rearview camera, park-assist sensors, heated mirrors and washer nozzles, and aluminum interior trim are now standard on all models, and an S Line appearance package is available on Premium Plus models. 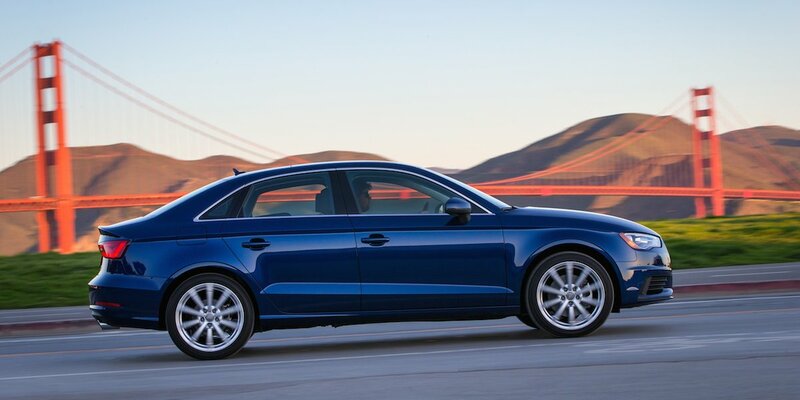 A3s with the base 1.8T engine are rated at 24 mpg city/35 highway in convertible form and 23/33 in sedan form. With the 2.0T engine and its mandatory all-wheel drive, convertibles are rated at 23/32 and sedans 24/33. The TDI diesel engine was previously rated at 31/43; it’s unclear at this point if its fuel-economy numbers will be affected if and when Audi revises this engine to be EPA-emissions compliant.. In Consumer Guide® testing, a 1.8T sedan averaged 26.3 mpg and a TDI sedan averaged 35.5, both in a near-even mix of city and highway driving. The premium compact-car class has expanded in recent years with some especially compact contenders such as the A3, Acura ILX, and Mercedes-Benz CLA-Class. They offer most of the panache of their premium-brand nameplates at more accessible prices, but you’ll be giving up some interior space and likely some standard features in the bargain—at least when compared to similarly priced mainstream-brand cars. 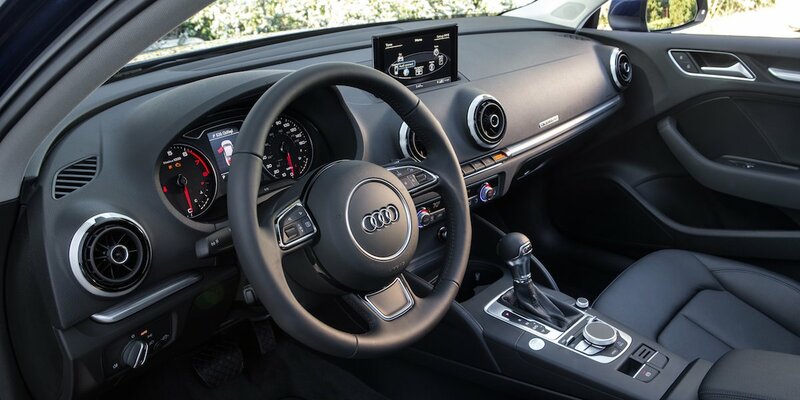 The Audi A3 stands out in its class; it’s an excellent choice if a sporty driving personality and Audi’s understated-yet-premium feel is more important to you than passenger and cargo room.